Meanwhile, elsewhere in the dark ages, the round Earthers are being stoned to death for heresy and the black death is wiping out large parts of Europe because they have sinned (obviously) and their prayers for deliverance are falling on deaf ears. For more deluded bullsquit look here, here and to the root of it all the old testament here . Someone find me a way off this rock. I also believe in Albert Einstein’s General Relativity, the Big Bang and Black Holes. But I believe that something had to start it all, I struggle with infinite but also cannot except that the Universe ends and then there is nothing, there must be something, another Universe ? As for the round Earthers, I blame Aristotle! Agreed, Darwin never professed to understand the beginning of the universe or any of the other big questions. He dealt with evidence and there is (was – we got better at finding it) precious little of that to prove the current theories. 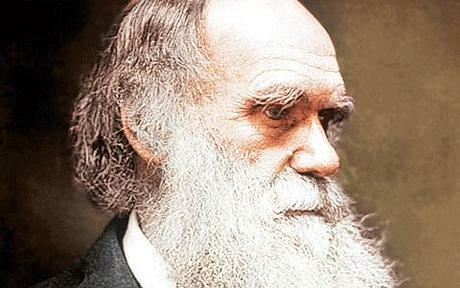 In fact for most of his life, Darwin was religious, it was only after he had an epiphany when researching the his theory he decided that he was unable to believe in an almighty creator – the evidence just proved contrary to belief in a god. I believe that we are not equipped to understand the enormous complexity involved with the event or what is happening outside the measurable, observable space. We can theorise as much as we like and create equations to prove what we can observe and measure but these theories will always be just that, unprovable. It shouldn’t stop us making them and refining them as from those theories improvements to our society may come, but just as religion was the theory that ‘fitted’ two thousand years ago, the ideas of theoretical physicists mostly ‘fit’ today in some cases (I am lead to understand) even these have holes that call much into question. Now we know about all these things, because we can observe and measure and prove the theories that describe them, why would anyone believe in a creator? I guess it is because it is easy and comfortable and as a believer ‘I’ wouldn’t have to think about it too much and because mom and dad did and a book and this guy that seems really nice and genuine told me that it is all true and because well, we have always believed in it haven’t we so it must be true. And when ‘I’ have problems in ‘my’ life and ‘I’ talk to my ‘god’ – who isn’t there in person of course (that would be mental) – but hears ‘me’ because it is omniscient, that god may choose to help ‘me’ – or not because god works in mysterious ways of course. Religion is fixed in our language, even I find myself saying stuff like “thank god for that”. We are brainwashed to say and in turn think this stuff all throughout our early lives, we sing hymns in school, we say that truth is “gospel”, it is entrenched. It is wrong. Although Clarke was talking about technology created by man when he said it, the phrase “Any sufficiently advanced technology is indistinguishable from magic” can also be applied to the creation question. Just because we can’t explain or understand something it doesn’t mean it is magical or divine, we just don’t know how it happened.